Most attention in Grand Teton National Park is focused on the Tetons themselves and the west side of the park. 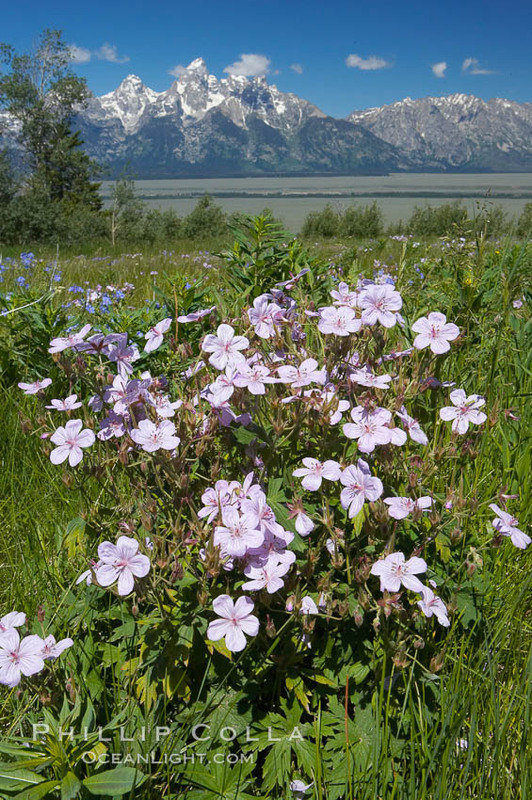 However, on my most recent trip to the Tetons I took a drive out of Grand Teton National Park and up into the Bridger-Teton National Forest to find myself alone with magnificent views and acres of wildflower-filled meadows and forests on Shadow Mountain. Wildflowers on Shadow Mountain with the Teton Range visible in the distance. Shadow Mountain is accessed on the Shadow Mountain Loop Road, the bulk of which is in the national forest but which begins and ends in the national park. The way to get there is on a dirt road at the eastern edge of Grand Teton National Park, where it meets Bridger-Teton National Forest. From Jackson going north, find and take the Antelope Flats road until its ends in a T-intersection — go left at the T. This road heads north, eventually turns to dirt, then heads east and up into the Bridger-Teton National Forest. Here is a good map to consult. As the road heads up Shadow Mountain there are a number of spur roads that head out to meadows or viewpoints. It looked to me that campers (probably with permits) use these spur roads to find solitude and their favorite spots. I took a few of the spur roads just to see where they went. Keep in mind this road is unpaved. While the main unpaved road is in pretty good shape, there were a number of places on the spur roads that I was glad I had a high clearance truck, although I did not have to resort to four-wheel drive. The only folks I encountered were a few mountain bikers, a runner and a walker, all heading up the same road. 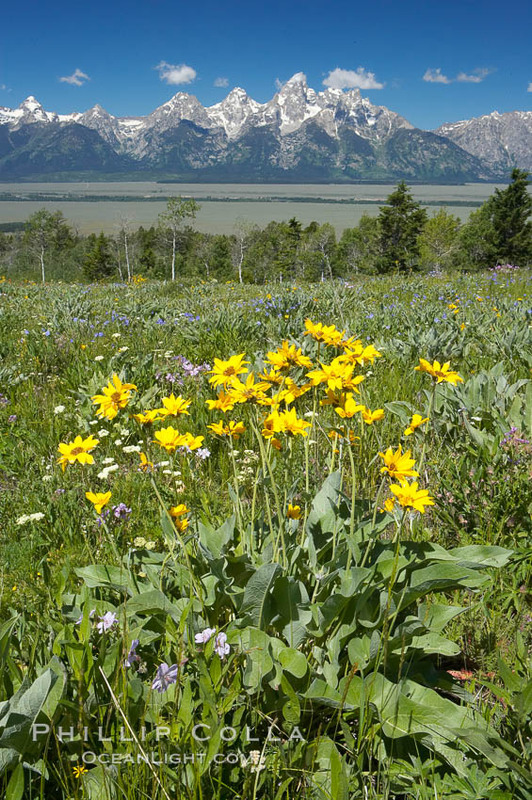 As the road ascended from the floor of Grand Teton National Park, it would open up into meadows that where covered with wildflowers. Some magnificent views are offered too, looking across the valley floor to the Tetons with a perspective that cannot be matched anywhere within the national park boundaries. There were lots of bugs buzzing about the meadows, but thankfully none seemed to be the biting sort. Eventually the road tops out on Shadow Mountain and descends back into Grand Teton National Park north of where you started, at either the Snake River Overlook or Triangle X Ranch. The ideal way to explore Shadow Mountain would be to run it, however my knees don’t allow for this anymore. The next best is mountain bike. If you don’t like the climb or using the granny gears on your mountain bike, have someone drive up with all the bikes on a rack and everyone but the driver gets to zoom back down the mountain on bikes.